The Cool to India’s Tea. How do you bring an elegant high tea to any time of the day? It is simple: dress up a black tea with mint and ginger. 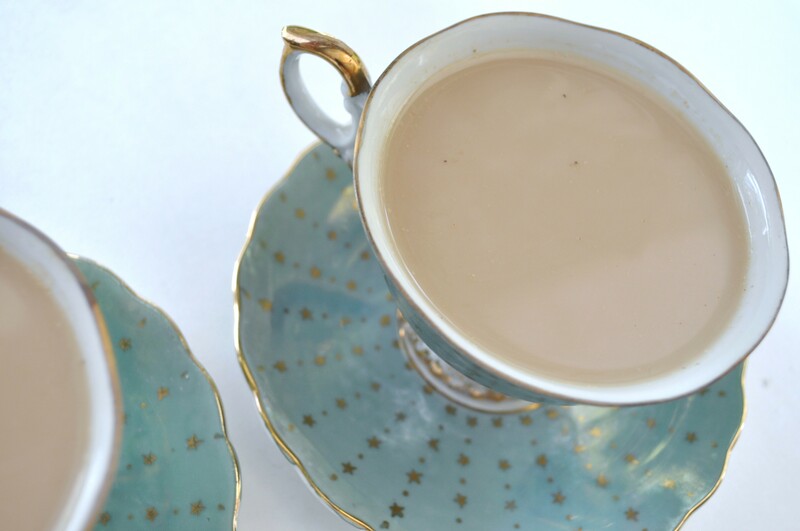 A cup of Fresh Mint Chai Tea makes a tea party luxurious. 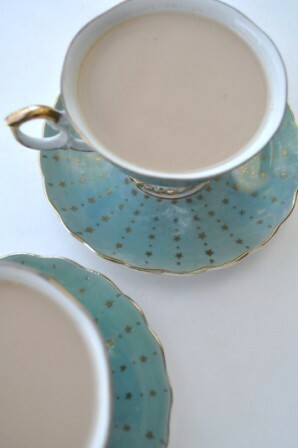 Even on a summer day, Fresh Mint Chai Tea is lovely to share with a friend. The added bonus: the fragrance of this tea brings a smile with each sip. Fresh Mint Chai Tea… Ready to Serve! 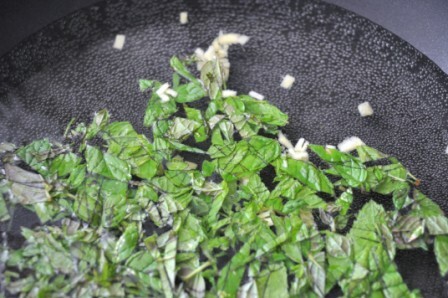 In a medium saucepan, add the water, mint and ginger over high heat. Bring to a boil, then lower the heat to medium to simmer for approximately 1-2 minutes. This extracts the maximum flavors of the mint and ginger. 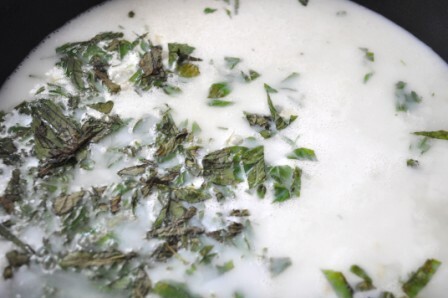 Pour the milk into the saucepan and increase the heat again to bring the milk to a boil. Add the tea leaves or tea bag and remove the saucepan from the heat. Cover the saucepan to allow the tea to steep for approximately 3 minutes. Using a ladle, pour the tea through a tea sieve or fine-mesh strainer into 2 tea cups or a tea pot. Discard the spices and leaves. Serve the tea with honey or sugar on the side. 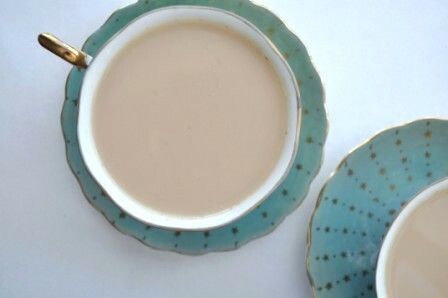 Note: In India, tea is traditionally served with whole milk. This recipe offers a slightly healthier version.